Students who learn to speak and interact effectively in English will find these skills useful beyond acing the oral communication component of the O-level exam. 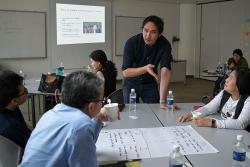 Being able to articulate their thoughts and engage in conversation are life skills students will find relevant to their future social and work life, said Mr David Tay, 35, a schools correspondent and teaching specialist with The Straits Times Schools. 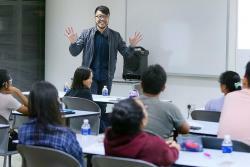 Mr Tay, along with three trainers, will conduct the Oral Communication Exam Series of The Straits Times English Masterclass on March 12 and 13. It is aimed at students studying O-level English. 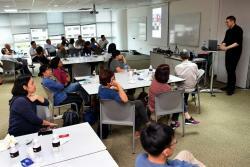 "We hope that participants can take away skills and attitudes that they can use in the long term to become better speakers and conversationalists, as well as learn more about the world around them so that they can participate in constructive social discourse and be active citizens," he said. Mr Tay was an English teacher for seven years before he joined The Straits Times in 2016. During his time as a teacher, he was also an oral examiner for his school as well as for the O levels. 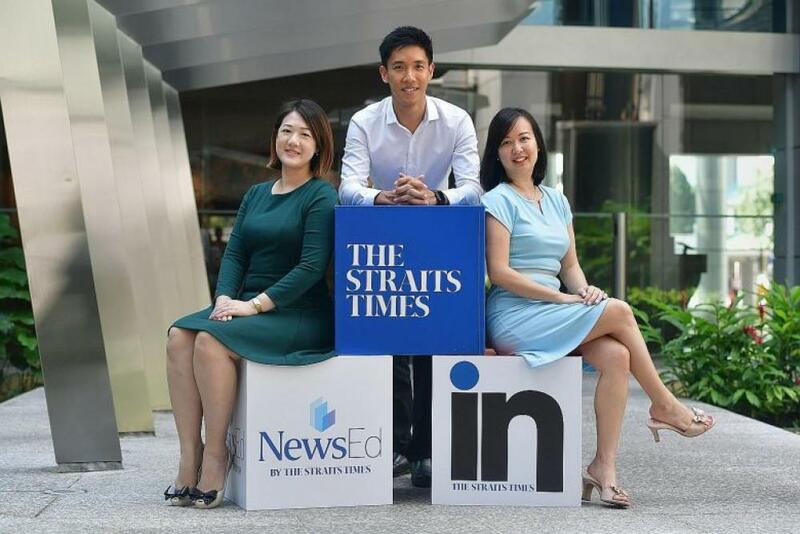 He now writes stories for The Straits Times IN and Little Red Dot, and creates news-based learning activities which teachers can use, such as oral communication questions adapted from news articles. He also manages the development of NewsEd, an online news portal designed for teaching and learning. The two other trainers are Ms Adeline Ng, 41, and Ms Elaine Chong, 32, both contributors to ST IN and NewsEd. Ms Ng taught secondary level English for 16 years and was an O-level oral examiner while Ms Chong spent five years teaching English, including oral communication and served as an O-Level oral examiner. Recently, the benefits of speaking well were highlighted by two Straits Times Forum page writers. Mr Tan Teck Huat on Jan 29 wrote that students must "learn to speak English with good enunciation and poise to become effective communicators". Masterclass participants will learn speaking techniques they can apply immediately, as well as methods to use for continuous improvement. "One of the secrets to pronouncing English like a pro is to recognise that it is a 'stress-timed' language," said Mr Tay. This means that some syllables are spoken with emphasis and others are not. Participants will use online tools and the international phonetic alphabet to pronounce a word accurately. Mr Tay will share resources for current affairs which students can use to improve their oral communication skills. Participants will get materials and resources from ST IN that they can use to start on their current affairs journey. "To be a good conversationalist, one must be apprised of the latest local and global issues," he said. "Otherwise, even if you have the best speaking techniques, you cannot interact meaningfully with others."